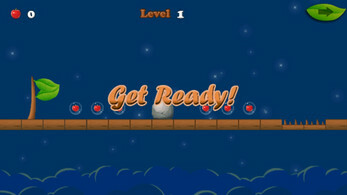 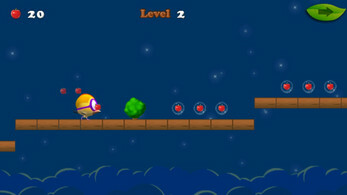 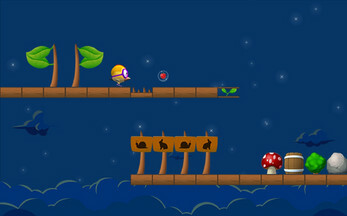 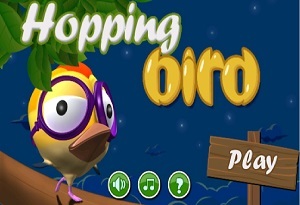 Hopping Bird is a bird game. 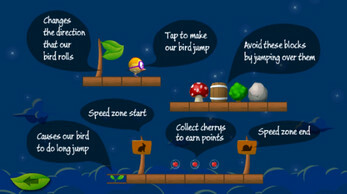 The bird would like to collect more cherries. 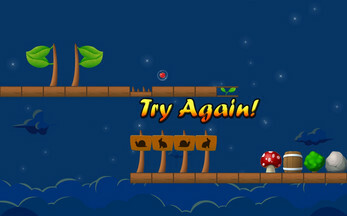 But there are many hindrances / obstacles; lock, toadstool, etc. 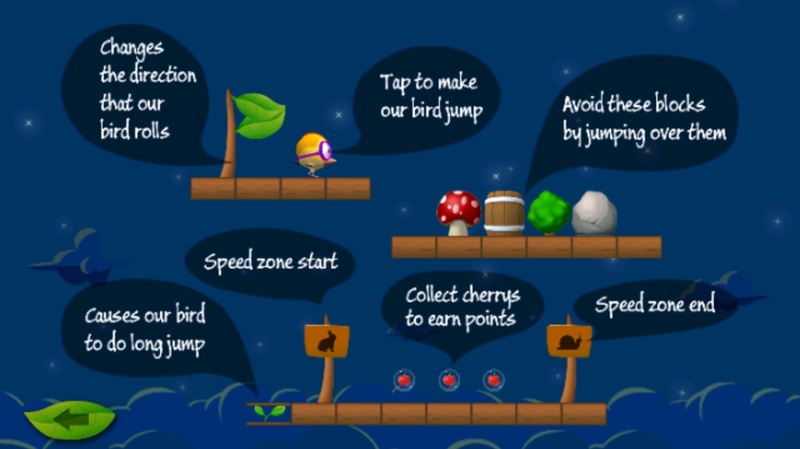 Help the cute bird by running and jumping. 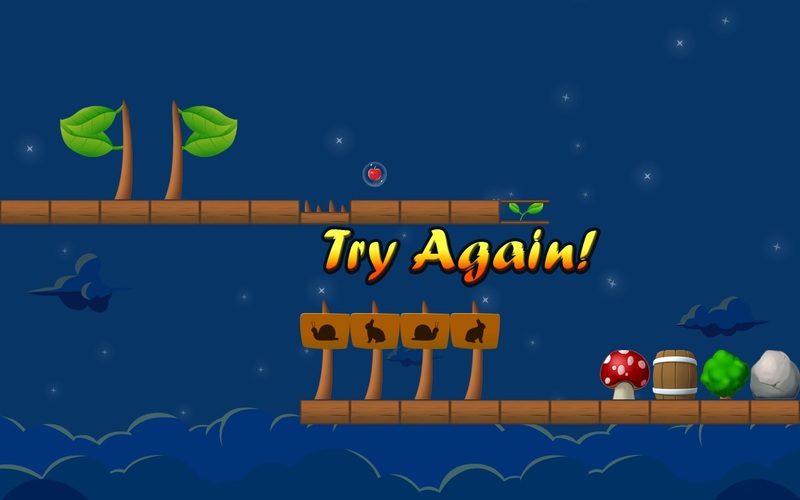 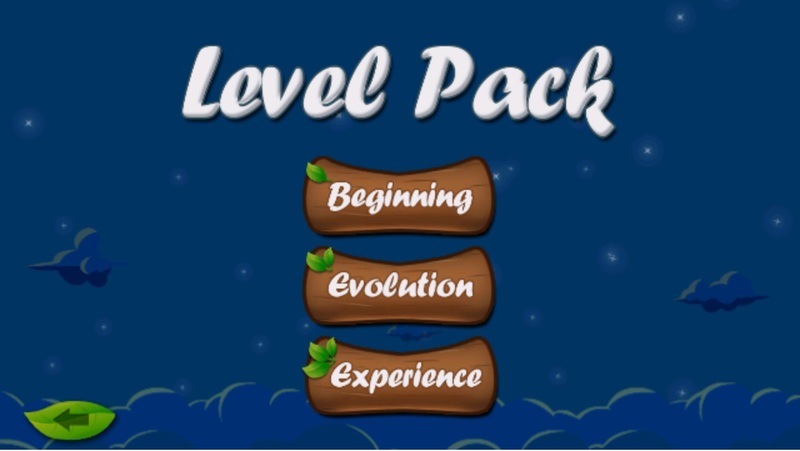 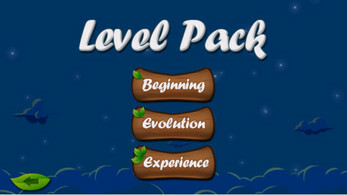 Tap screen to jump and avoid obstacles.